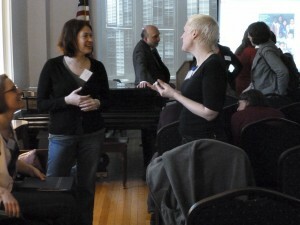 On March 22nd and 23rd, 2013, a compelling group gathered for the Women’s History in the Digital World conference to discuss an array of the fascinating projects that are emerging at the crossroads of the digital humanities and women’s and gender studies. The conference sparked dialogues across both the physical and the digital realms, as animated exchanges took place on Twitter alongside those that were ignited in person (viewable as a Storify of tweets using the conference hashtag, #WHDigWrld, thanks to the creative ‘wordsmithing’ of presenter Michelle Moravec). One of the most exciting outcomes of the event is the extension of those conversations beyond the spaces in which they originated: we are now looking to gather the presentations from the weekend in the form of speaking notes, slides, links to project and social media pages and other supplementary materials, to make them available to all on our conference website. For the many who were not able to attend in person, this resource will provide an opportunity to engage with the work and see the variety of research endeavors that are currently underway in the field. For those who were present, the repository offers a new chance to view presentations that conflicted with other panels, or to revisit work that may have stirred thoughts that called for deeper inquiry. We hope that the site will serve to sustain the conversations that emerged at the conference, as well as foster new dialogues with a wider participatory base than those who were able to convene in March. Several participants have already sent in their materials. In addition to the abstracts and bios we have uploaded the conference related materials we have been given so far. You can search all of this material on the conference website using the search box in the upper right hand side as seen in the screen shot below. The conference repository can be searched by keyword, presenter name, institution etc., whatever term you would like to use to draw together material from the many different conference presentations. We encourage all presenters to send us their materials – you will not be able to upload the documents yourself, this must be done by us. Update: presentations with materials uploaded are now marked on the Saturday schedule with a red “presentation available” indicator to make browsing easy. 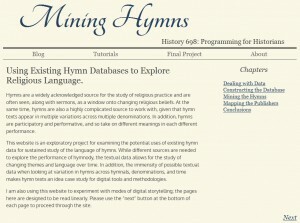 Among the work that has been uploaded so far are the presentations on DYKE, A Quarterly: Blogging an Online Annotated Archive; Mining Hymns: Exploring Gendered Patterns in Religious Language; Digital Diaries, Digital Tools: A Comparative Approach to Eighteenth-Century Women’s History; and The New Hampshire Historic Dress Project. These and others can be found on the conference site as described above, or you may click the images below to view the materials directly. 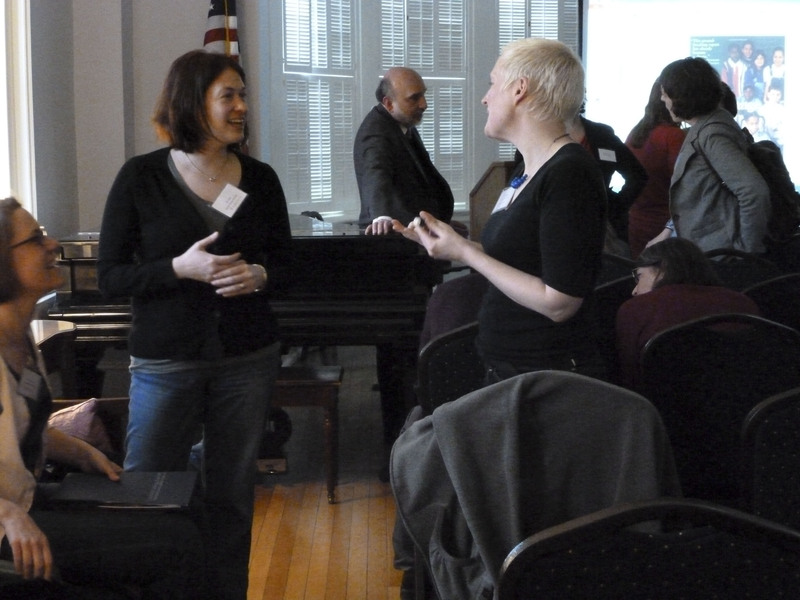 The Albert M. Greenfield Digital Center for the History of Women’s Education held its first major conference, examining issues in women’s history, gendered analysis, technology and the digital humanities on Friday and Saturday, March 22-23, 2013. 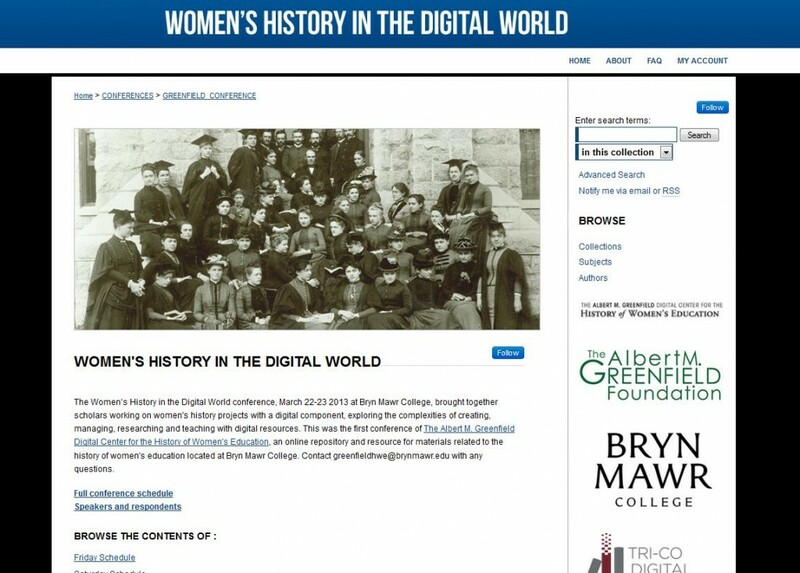 Almost one hundred scholars, students, independent researchers, archivist, librarians, technologists and many others gathered at Bryn Mawr College to discuss their work at the first Women’s History in the Digital World conference. The conference opened on Friday afternoon with a provocative and inspiring keynote by Laura Mandell of Texas A&M, “Feminist Critique vs. Feminist Production in Digital Humanities.” The talk advocated that those whose work seeks to recover marginalized histories and perpetuate them in digital form must actively produce new work that embodies criticism, rather than only publishing critiques of existing work. Her speech raised several points that served as touchstones throughout the weekend for the attendees and presenters, many of whom are currently grappling with the challenge of giving digital presence to marginalized voices. 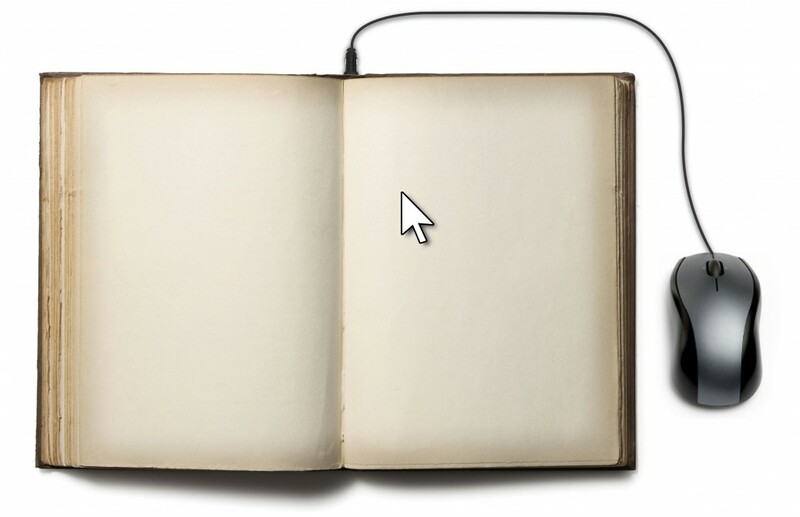 How does the modern scholar produce work that is compatible enough with mainstream practices to guarantee visibility and sustainability, without undermining the ways in which these stories deviate from the mainstream? Her talk will be made available shortly on the conference website so please keep an eye on this site for more content. The conference was a forum for many rich conversations, and thanks to Twitter you can follow the discussions by searching the official conference hashtag #WHDigWrld. Conference participant Professor Michelle Moravec (@ProfessMoravec), Rosemont College, created a Storify of the Tweets and a blog on her reflections about the conference. 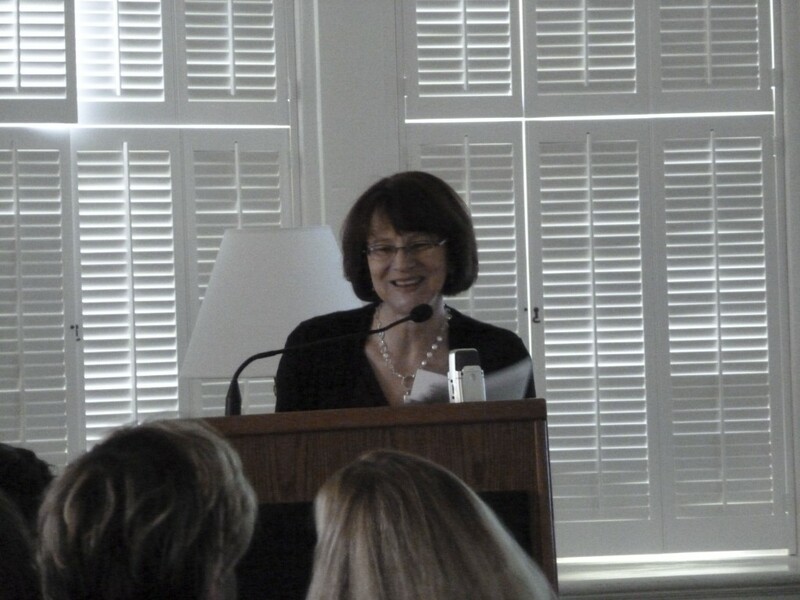 Nancy Rosoff (@NancyRosoff), Arcadia University, has also written a blog post about the conference including excerpts from her paper. We are encouraging all presenters to upload information to the conference website which uses the Bepress software, acting as a repository and an archive of the conference. Bryn Mawr College undergraduate Lianna Reed ’14 helped at the conference. 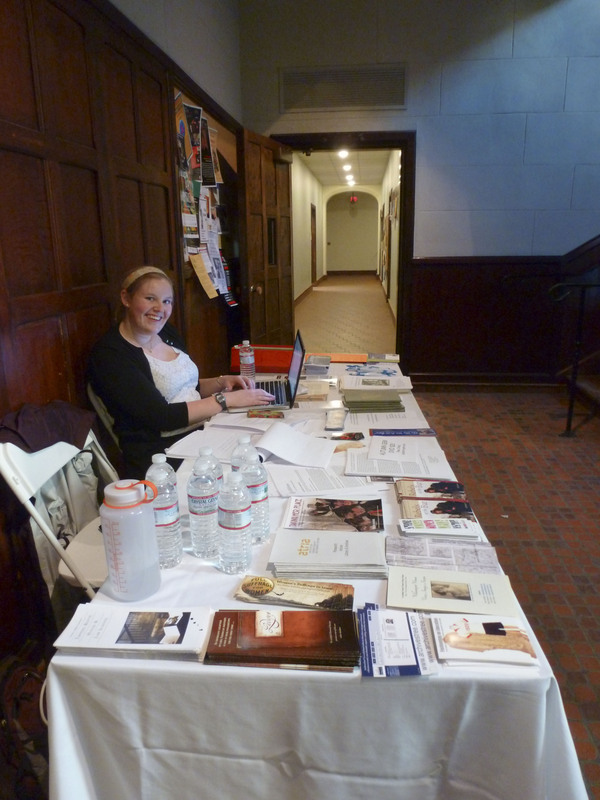 She’s pictured here at the registration desk in Thomas Hall, the venue for the second day of the conference. Conference panels were held all day on Saturday March 24th related to the four panel session overarching themes: Pedagogy: Digital Sources and Teaching in Women’s History; Developments in Digital Women’s History; Digital Archives and Practices and finally, Culture and Representation in the Digital World. Center for the History of Women’s Education, Bryn Mawr College. Topics that arose included the difficulties in funding and sustaining funding for digital humanities projects related to women’s history; what a digital humanities ‘toolkit’ should look like for those interested in developing their skills; funding opportunities and potential collaborations between the conference participants and the importance of networking, sharing information and collaborating with each other. 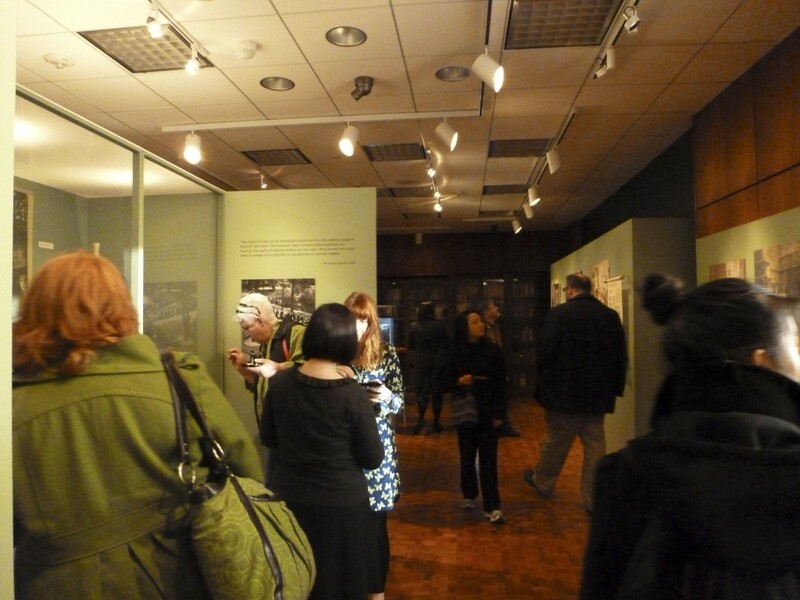 The closing reception at the conference was held in the Rare Book Room Gallery, Canaday Library, Bryn Mawr College. Conference participants were able to wind down and explore the Taking Her Place exhibition, curated by The Albert M. Greenfield Digital Center for the History of Women’s Education. The conference ended with a reception at the Rare Book Room Gallery to view the Taking Her Place exhibition, co-curated by Evan McGonagill and Jennifer Redmond of The Albert M. Greenfield Digital Center for the History of Women’s Education. 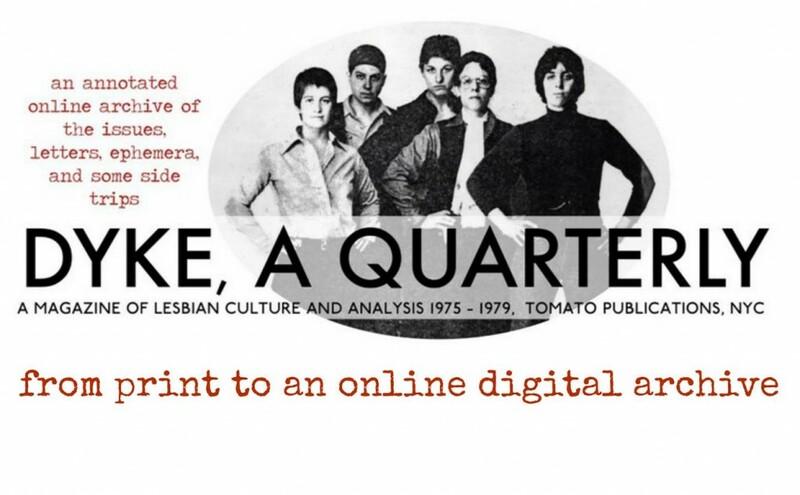 This exhibition, which runs until June 2nd 2013, harnesses many of the themes of the conference as it includes digital elements as well as traditional archival material on the history of women’s education. If you have not yet visited the exhibition, please do so! Direct any questions you have about it to greenfieldhwe@brynmawr.edu and don’t forget to follow us on Twitter @GreenfieldHWE for further updates on the exhibition program. We have also uploaded a splash of photos from the event to our Tumblr. The conference organizers would like to thank their sponsors, The Albert M. Greenfield Foundation and the Tri-Co Digital Humanities Initiative for their support. We would also like to thank Camilla McKay, Head of Carpenter Library, Bryn Mawr College, for her support in creating the conference website and Lianna Reed ’14 for her support at the registration desk. Finally, we would like to thank all the presenters and participants who made this such a fantastic and vibrant conference – we look forward to welcoming you again in 2014! Two and half years ago I was scarcely aware of the existence of archives, but now my intended career lies in that field. Bryn Mawr College’s Special Collections is a wonderful place to serve my apprenticeship, not least because I’m an alumna of the college. Bryn Mawr has always been known as the scholarly sister, and I’ve been called a true Mawrter for my geekiness. My not inconsiderable enthusiasm is sparked by most anything to do with cultural history – any time, any place – but as the product of women’s education my job in BMC’s archives is personal. I’m learning about my heritage: about the institution that both nurtured and shaped my values and ambitions when I was an undergraduate, and about the generations of Mawrters who came before me. I am a member of the team working on The Albert M. Greenfield Digital Center for the History of Women’s Education. My primary role is to digitize a collection of photo albums and scrapbooks which were assembled by alumnae during their time as students; most date to the first four decades of Bryn Mawr’s existence. 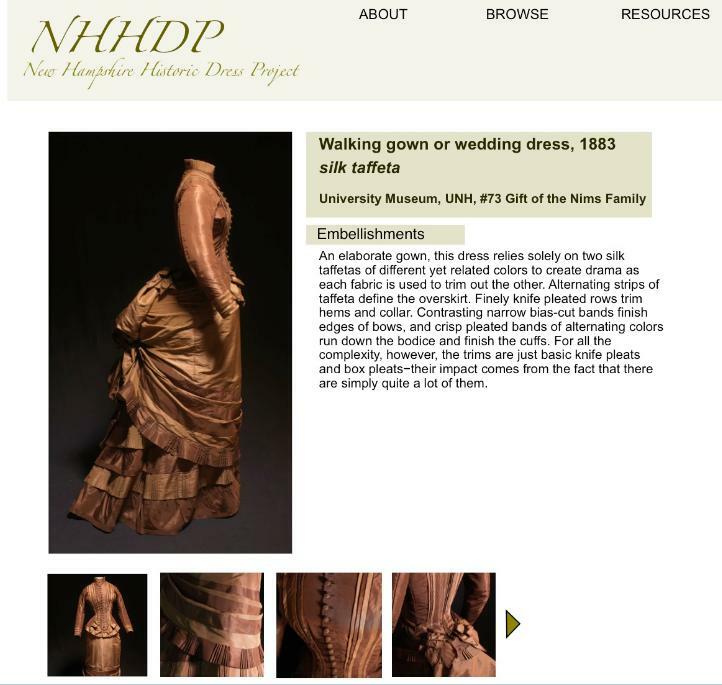 The items in this collection provide an unusually intimate view into the lives of Bryn Mawr students in the late nineteenth and early twentieth centuries. 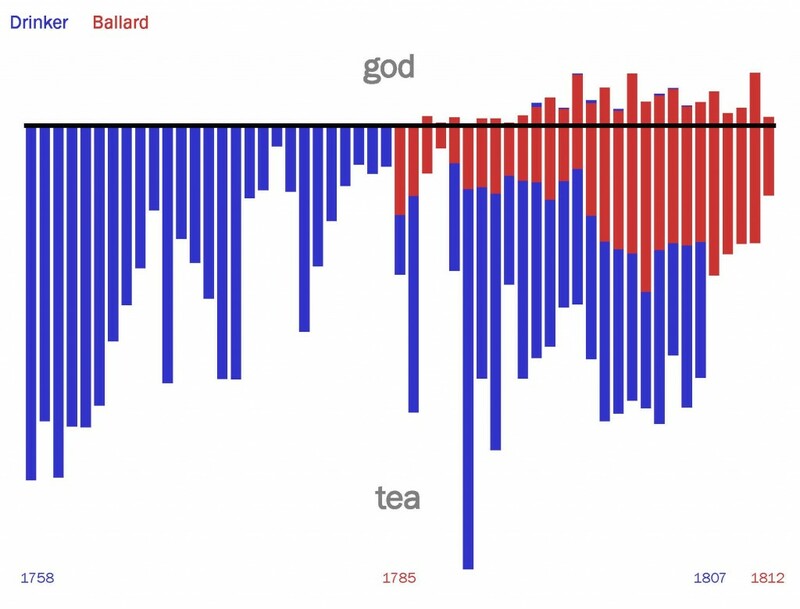 Looking through the scrapbooks, I get a sense for the texture of their lives that formal portraits and secondary sources simply can’t provide. As a historically-minded alumna, I’m blown away; as an aspiring archivist, I’m delighted to be involved in making this collection more widely accessible to past and present members of the Bryn Mawr community, to scholars and students of all kinds, and to the simply curious. Pig, Rat, Suzie, and Ray, from the scrapbook of Marion Rawson '22. 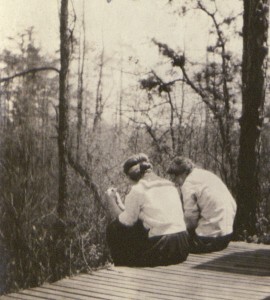 Candid photographs in the scrapbooks are of particular interest items. 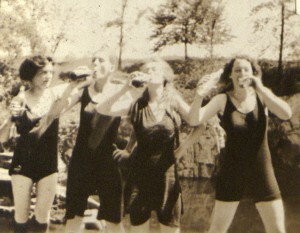 As this candid, to the left, from the scrapbook of Marion Rawson ’22 demonstrates, some aspects of college life never change. On the other hand, ephemera (items that were originally intended for temporary use and weren’t meant to be saved) are often reminders of how much the details of daily life can transform with the passage of time. For example, delicately hand-colored invitations to luncheon are no longer part of Bryn Mawr student life, much less an invitation to tea from the legendary President M. Carey Thomas and her companion Mary E. Garrett. 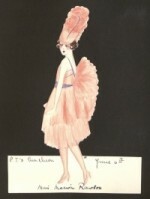 A hand-made invitation from the scrapbook of Marion Rawson '22. 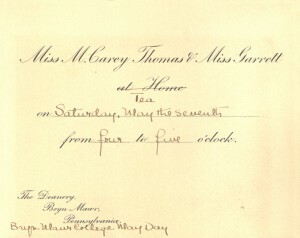 An invitation to tea at the Deanery from the scrapbook of Lorraine Mead '12. Marion’s scrapbook has a large number of wonderful candid shots and you can explore the whole thing on Triptych. Also available on Triptych is the scrapbook of Jean S. Davis ’14. Lorraine’s has not yet been scanned, but I will continue to provide updates here as I proceed with digitizing this fascinating collection.